Warsi: I can live with myself Jump to media player The former cabinet minister, Baroness Warsi, has accused the government of showing a "lack of support for international justice and accountability" over the situation in Gaza. 'Sad pattern of injury' Jump to media player The UK is to send a team of NHS medical experts to help those who have been left wounded by the fighting in Gaza, Downing Street has said. Gaza air strikes and rocket attacks Jump to media player Israel launches air strikes into Gaza after Palestinian rockets are fired at the end of a three-day truce. Gaza conflict: At blockaded border Jump to media player Wyre Davies reports from the blockaded border crossing between Israel and Gaza. 'We've seen explosions in Gaza' Jump to media player The BBC's James Reynolds reacts to an explosion as fighting resumes in Gaza following the end of a three-day truce on Friday morning. Israel strikes in Gaza amid rocket fire Jump to media player Israel says it has resumed air strikes in Gaza after Palestinian militants fired rockets following the end of a three-day truce on Friday morning. Gazans: 'We have nowhere to live' Jump to media player The truce in Gaza is holding into a second day, making it the longest period without fighting since the conflict began, but many Gazans have no homes to return to. Inside an Israeli radar station Jump to media player The truce in Gaza is holding as the Israeli army say the "strategic threat" of Hamas tunnels has been destroyed. 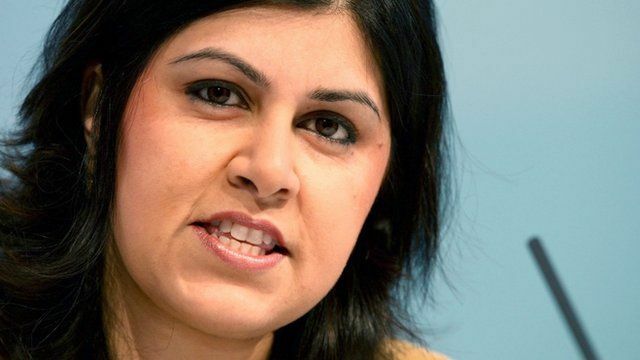 The former cabinet minister, Baroness Warsi, has accused the government of showing a "lack of support for international justice and accountability" over the situation in Gaza. The Conservative peer, who recently resigned from the government over its policy on Gaza, also told the Today programme that "by resigning and stepping down, I can live with myself". First broadcast on BBC Radio 4's Today programme Saturday 8 August.